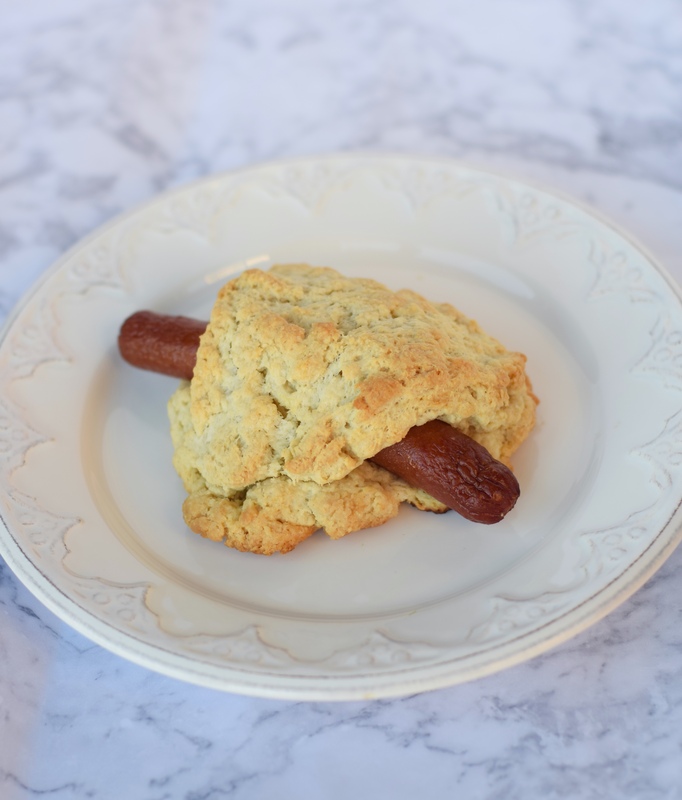 This recipe for scone hot dogs is one of my new favorites to make. 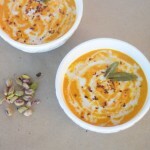 It’s super simple, tastes delicious, & is a total hit amongst friends. One of the main reasons I love it so much is because I’m all about foods that satisfy both that sweet & savory cravings: Creme Brûlée French Toast, mac & cheese pancakes, sweet potato cupcakes, etc. 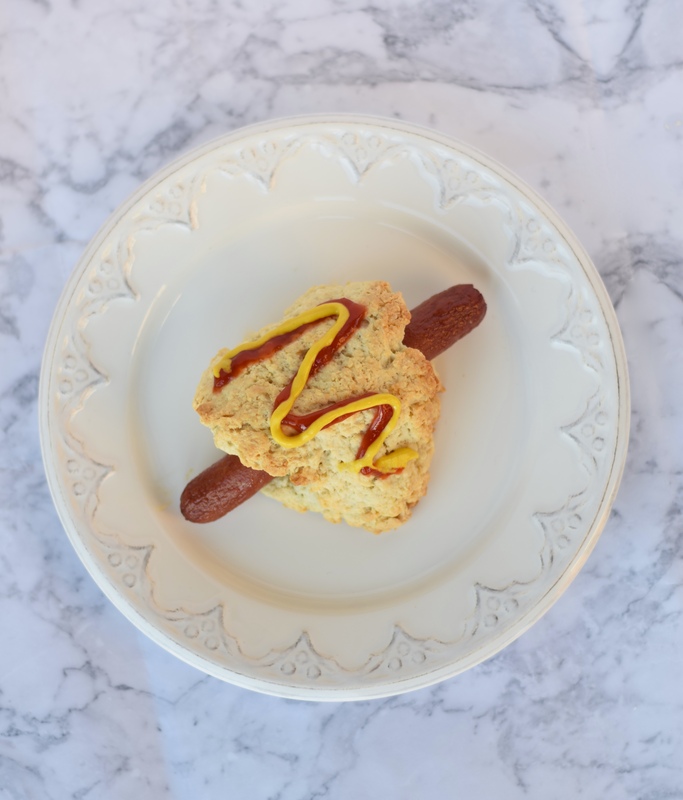 Between the sweet, buttery scone blanket & savory, delicious hot dog in the center, this recipe does just that. 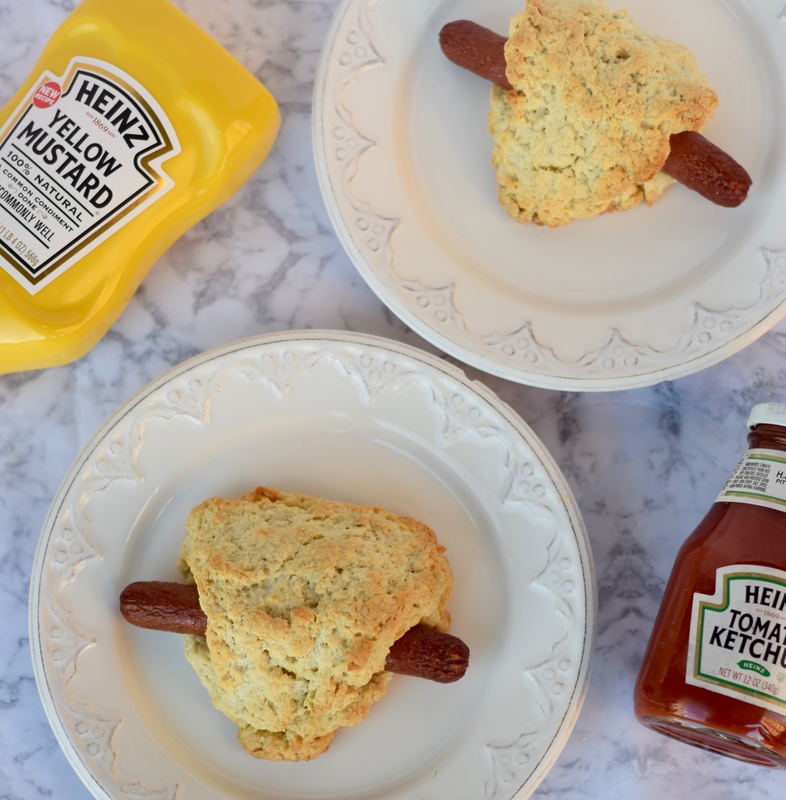 You may be thinking, “a scone with ketchup & mustard on it…?” which is a totally reasonable thought. Yet think of a classic pigs in the blanket recipe. 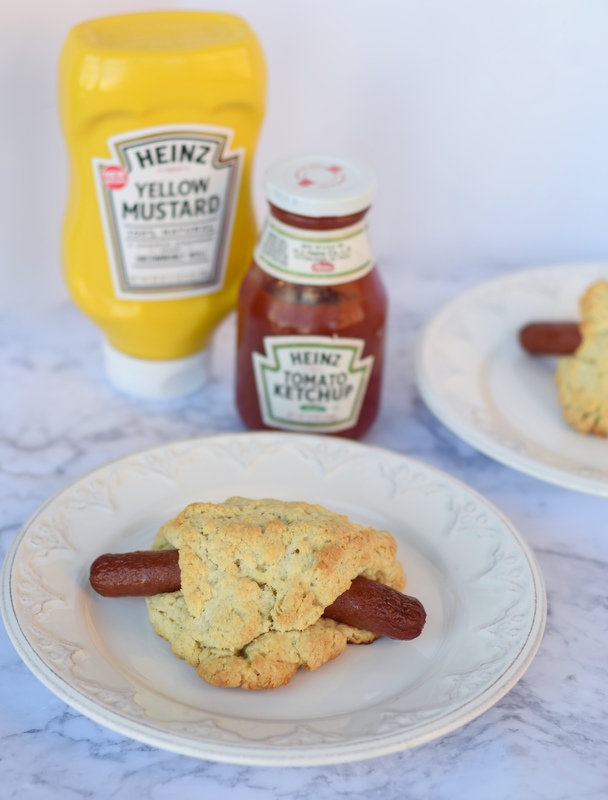 You wouldn’t hesitate to put those condiments on a crescent roll would ya? Didn’t think so. Now just image an even better tasting crumbly yet buttery crescent roll. Sounds pretty good around a hot dog right? Glad you’re on board! All together the recipe only takes about 30 minutes. 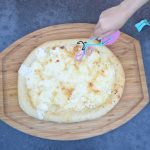 I’m talking from getting the ingredients out of the fridge to taking your first bite of this delicious treat. If you haven’t attempted to make scones before, don’t fret! They’re surprisingly very easy & don’t require much work at all. 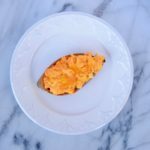 To be honest, I was pretty afraid to attempt my scone recipe because if not done right, scones can taste bland & dry–yuck! Yet this simple recipe keeps the inside moist & buttery while the exterior is crumbly & crisp. 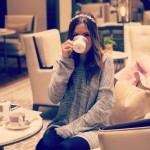 Aka a melt in your mouth kind of treat! Make sure to save this recipe (save button is below) as you can use it in a variety of ways. 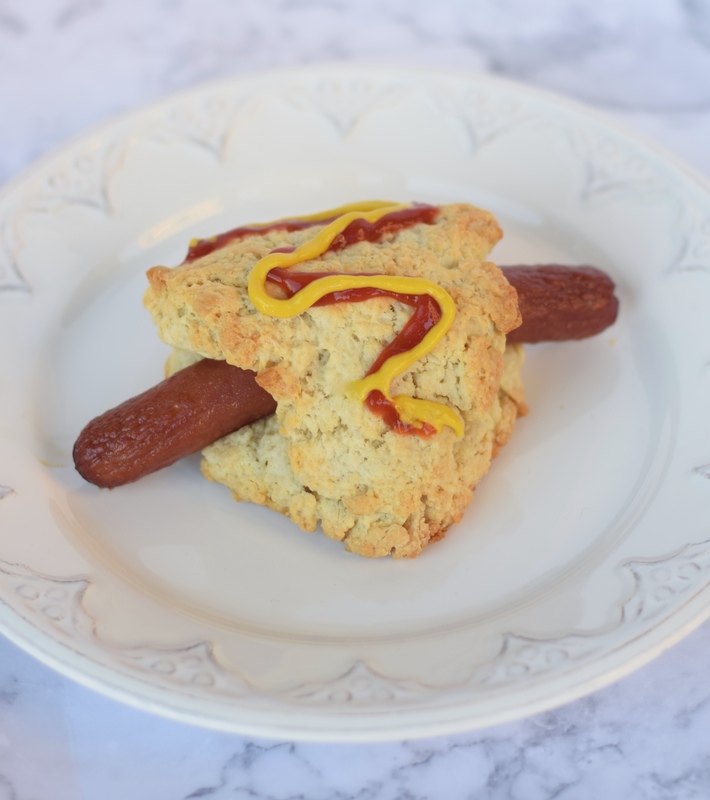 If you opt against the hot dogs inside (you’re missing out buddy) feel free to make the scones on their own for a sweet breakfast treat. Additionally, you can always throw some fresh fruit (berries are my favorite) into the batter as well as chocolate chips or nuts for a little added flavor. In large mixing bowl, combine flour, salt, baking powder, sugar, & milk. Stir to combine. Add 1 tbsp slices of butter to the mixture. Mix until crumbly. Using your hands, work the dough together until it forms a ball. Roll dough out & cut into even triangles that measure roughly 4 inches on each side. Place half the triangles on baking sheet 4 inches apart. Place hot dog on top of triangle. 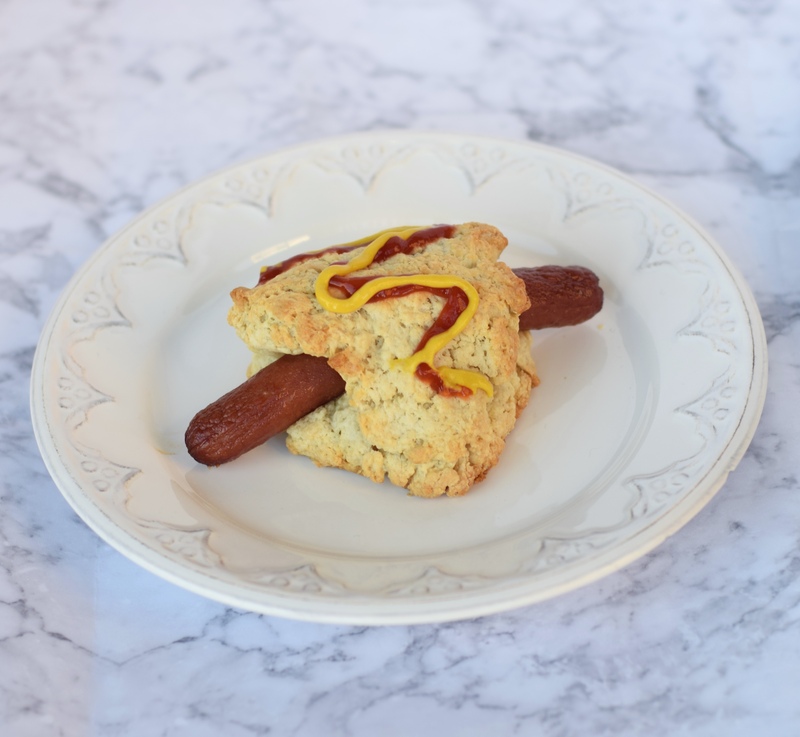 Place the second triangle on top of the hot dog & press dough to combine at the sides gently. Bake for 16-18 minutes or until golden brown on top. 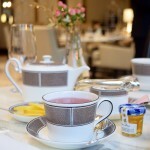 Serve & enjoy! 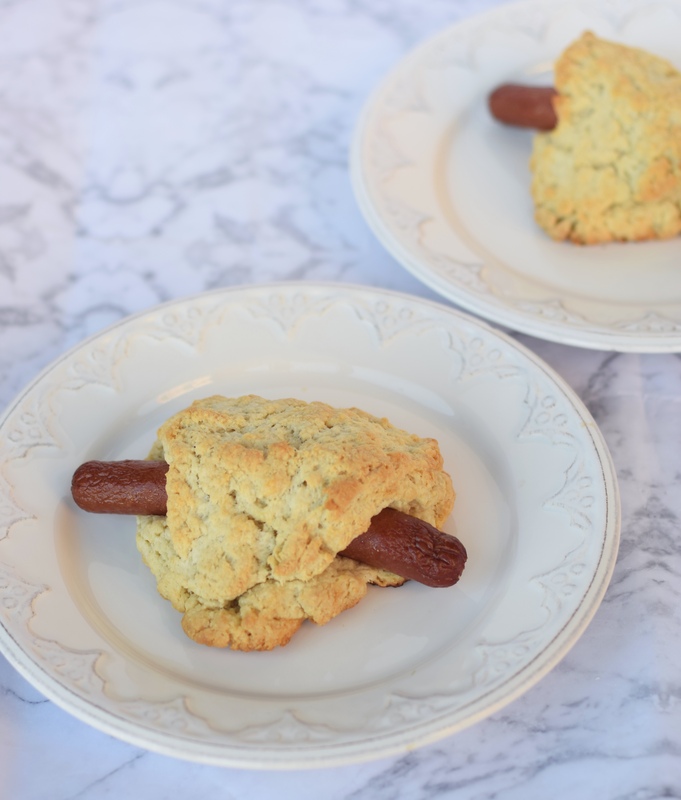 I would have never thought to mix scone and hot dogs together, but it I bet it’s delicious!